Astrology has been the earliest of all sciences. It began its journey when our great great forefathers looked up the sky and started noticing a definite pattern in the motions of celestial bodies. Then they looked down at earth, and observed the patterns in the events of this world and lives of its beings. The mystery enticed them, and they set forth for the quest of truth. And in the sudden insight of enlightenment, they discovered the correlation of these two phenomenons. Henceforth the vast exploration of a deep wisdom started taking a form. Ancient Sages of India recorded their amazingly in-depth and scientifically precise knowledge in "Vedangas". Veda means original knowledge and truth. Vedangas are the various branches of knowledge.
" Vedic astrology" or "Jyotish" (Jyoti + ish = light of God) forms an integral part of Vedangas along with other branches as Mathematics, Astronomy, Grammar, Ayurveda and Music. Vedic astrology is based on such accurate calculations of astronomy that dazzles modern scientists till date. And yet the depth of the knowledge crosses over mundane life`s issues, roping everything with a spiritual thread. Although it is said that an individual is born at the destined time and place according to his karmic pattern that he is obliged to fulfill, he has the liberty to make a new karmic patterns in his life. Astrology helps the person to gain more insight in inherently bestowed blueprint of the life and help him to generate good karmas. This is the fundamental objective on which the analytical, predictive and remedial faculties of Jyotish are based. Astrology has its own course of origin and development in other cultures as well. Many western astrologers claim that Greeks bought astrology to India with invasion of Alexander the great. Later on Indians developed this branch to a great extent by themselves. The controversy exists till date. Western world claims of astrology originating since 1645 BC (Babylon), and actual first horoscope existing in 410 BC. Indians astrology`s literature`s record going back to 3700 BC still exists. Although history of astrology is unrecorded, the science of Vedic scriptures date back to 6000 yrs back. Egypt, Rome and China contributed to their own development. Indian astrology later on became an inspiration for Arabic and Persian astrologers. Indians were known to be in touch with Greeks and Sumerians, and hence there is a vast number of similarities to all these branches. Comparison between Western and Indian astrology showcases the fundamental agreement and disagreement between the two branches. In today`s context all these cultures are mixing their believes to come across more widespread insight and accuracy. Even western astrology is accepting aspects of Indian astrology (such as concept of Rahu and Ketu). Modern astrologers are also improvising Vedic astrology by acknowledging the influence of Pluto, Neptune and Uranus. Western astrology has been a discontinued practice, and has evolved in breaks. It is in recent times that it has gotten more widespread and regular. But Vedic astrology has been passed on from generation to generation since 3000 BC. Hence, it is fundamentally the same. The question naturally arises…. Is Vedic astrology still relevant in current scenario?? Even if the cynics scoff of laws of Karma and destiny, they will be surprised to know that the entire study is based on solid and accurate grounds of astronomy and mathematics. The perspective may vary. Fundamentals do not! Astrology is the science of understanding the subtle influences that comes from the greater universe. These very subtle influences define our actual traits, potential, life pattern, marital compatibility, progeny, past and future. The insightful knowledge of our ancient spiritual teachers regarding various facets of life is passed on as the blessings of Jyotish. It is upto us to receive and cherish the divine knowledge for betterment and fulfillment of human life. Jyotish Shastra has covered almost each and every aspect of human life in its continual process to understand and improvise itself. It has manifested those efforts in certain branches and applications. These benefits of astrology are being imbibed by scores of people round the world on a daily basis. Natal astrology or personal astrology is based on a natal chart based on the day, date, time and location of the person`s birth. The chart is then used to study the life patterns, inherent characteristics and timing of events to detail about his past and future. This is the most widely used application in astrology. Crores of people use this method as the guiding map for their life or destiny. It is the branch of Astrology, which deals in selecting the best time to initiate any given activity or project. Be it getting married, buying a new house, buying a car or launching a project. 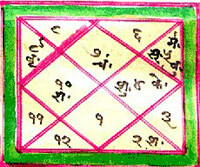 `Muhurtas` or an auspicious time is selected by studying the horoscope of the person who is going to carry on the work. Also, the horoscope for the suitable time is plotted out, and then is worked backwards to search for the time required to get that effects. It is considered that a project started in a bad time might face a lot of difficulties to materialize, While a deed with its beginning at an auspicious time is likely to bring good rewards. Inspired with the Roman word Mundus, meaning "the World", Mundane Astrology is the application of astrology to world affairs and world events,. Mundane astrology is widely believed by astrological historians to be the most ancient branch of astrology. In western ancient times, this was the primary reason to study the stars and relating it with calamities like earthquakes, floods, and wars. A study of `human affairs` is the primary goal. Although political turns are estimated through this branch, a study of financial positions, or stock market is also done using this application. Weather forecast can also be included in this branch of astrology. Horary astrology is a very old branch of astrology in which an astrologer will try to answer a question by drawing up an astrological chart or horoscope for the exact time and place at which that question came to mind or when it was put to them. The answer might be a simple yes or no, but is generally more complex with insights into the subject (For example, the motives of the questioner and the options available to them). This is also commonly known as `Prashnakundali`. The chart is erected when the querent`s mind is strongly focused on the problem. 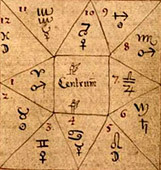 The Twelve zodiacs, all the twelve houses and the planets in the houses govern the description of our physical self. Our current medical status is influenced by the planetary transits. Thus, Medical astrology is an ancient medical system that associates various parts of the body, diseases and drugs as under the influence of different planets and signs. Hippocrates, the Greek physician who is regarded as the father of medicine, insisted that his students study astrology, saying, "He who does not understand astrology is not a doctor but a fool." Each sign (and planet) is associated with different parts of the human body. This astrology has deep significance for still remaining traditional practitioners of Ayurveda. Meteorological astrology is the practice of using the placements of the Sun, Moon and planets in the sky to predict weather. (The Moon is known to affect the oceanic tides and sunspots are known to affect meteorological activities on the Earth). Hence this system favours the use of astrology for forecasting the weather conditions, earthquakes, and severe storms. It is also called as Natural astrology. It is one of the most crucial application of astrology in India. Horoscope of the would be bride and grooms are studied carefully and the basic traits owing to their individual characteristics are compared to assess their compatibility. Finding out the harmony between the two life partners is one of the main feats of astrology. 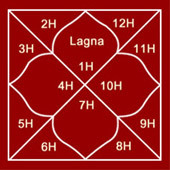 Gunas, yoni, lagna etc are considered for eventual assessment. Along with that other prospects such as will they be beneficial to each other in other aspects of life like progeny, professions etc are also considered. 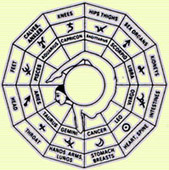 Irrespective of the forms of applications, use of astrology in our real life can make all the difference. The information and insight provided by astrology can increase the effiency and well being in life by averting possible failures and disruptions. Similarly, a mere assessment of our astrology profile can guide us to develop our inherent capabilities and ability to deal with our flaws and the world around us.